I have always loved beets, but my recent love of pickling reintroduced me to making beets at home. 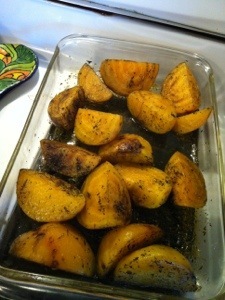 Recently I have roasted golden beets and I have boiled them. 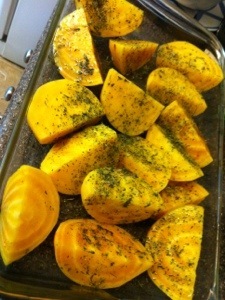 These are the boiled golden beets. 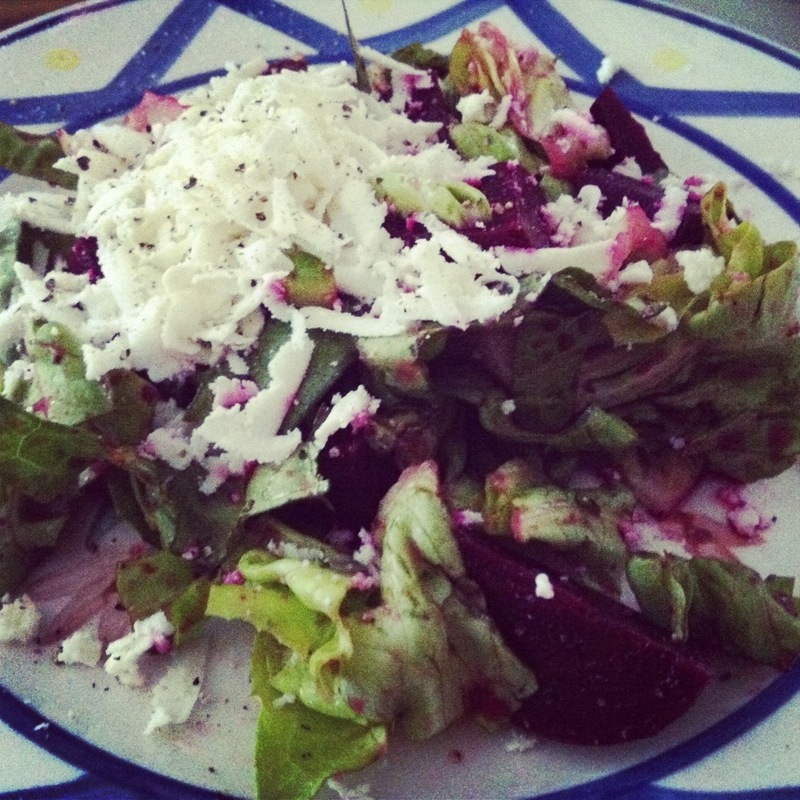 It’s easy to boil up beets to make beet salads or anything else. 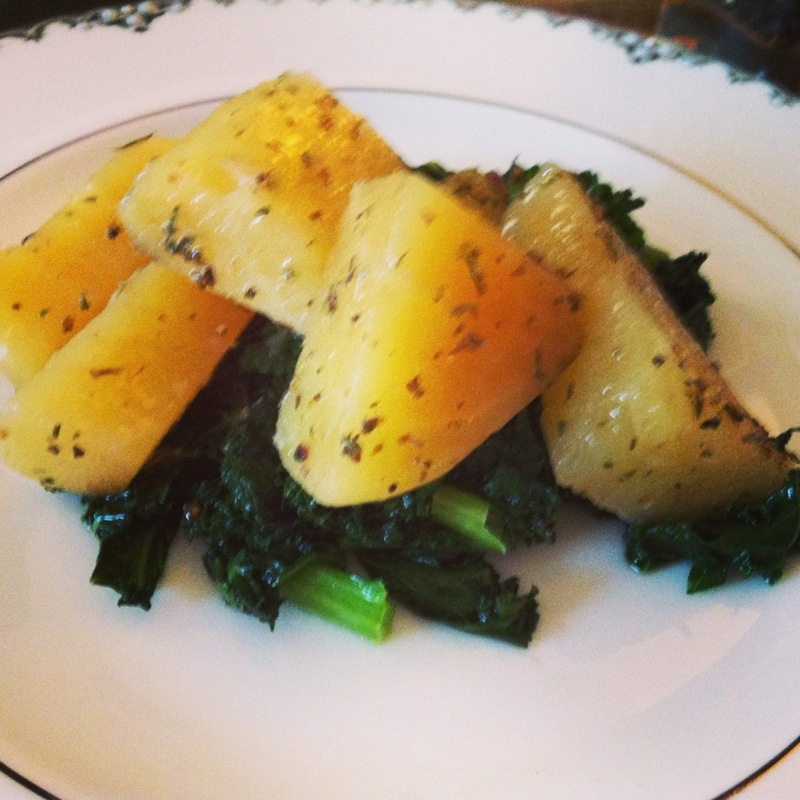 This combination is very low in fat and calories, as well as being nutritious. I add a sprinkle of Italian Herbs, Savory or Herbs de Provence to the boil for flavor. Place the beets in a large saucepan and add water to cover and the lemon juice or vinegar. This will help to keep the beets from bleeding. Bring to a boil, reduce heat and simmer until tender, about 45 minutes to 1 hour. Remove from the pot and let cool. It’s very simple, but the flavors work very well together. It also makes a nice plate. In one pan, add water about 1.2″ high. Add asparagus and boil by turning. Leave somewhat crisp, although cooked. In another pan prepare a fried or poached egg. I prefer to leave mine as runny as possible. 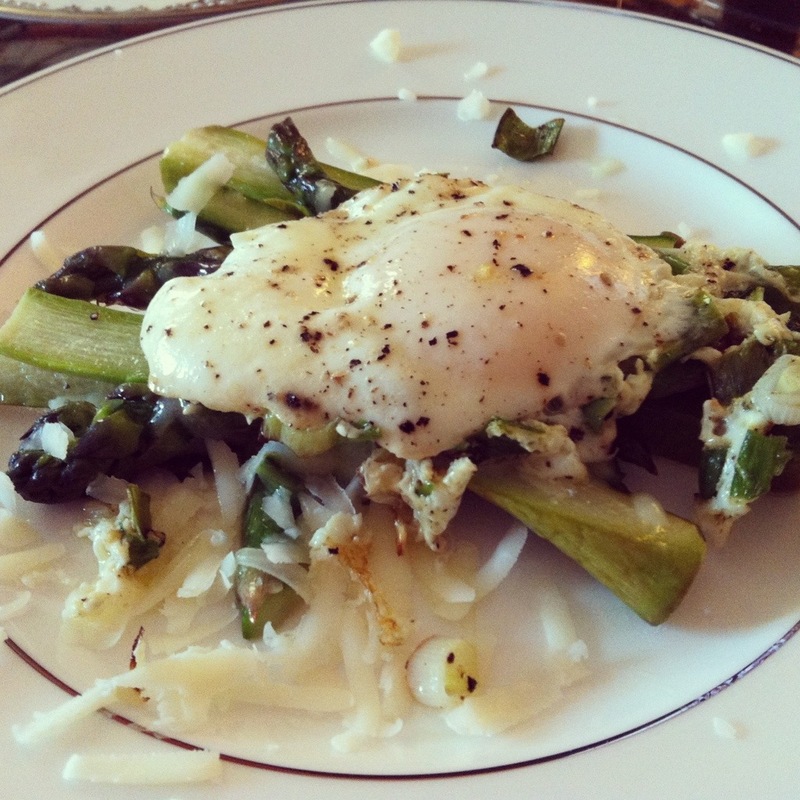 Plate the asparagus, add shredded cheese or parmesan and plate the egg on top. In a small pan, put the garlic and the olive oil and heat on medium. Using a fork or spatula, I mash the garlic to make a roasted garlic paste. Add the shrimp and cook until done 5-7 minutes depending. Dice Shrimp into smaller pieces if necessary. 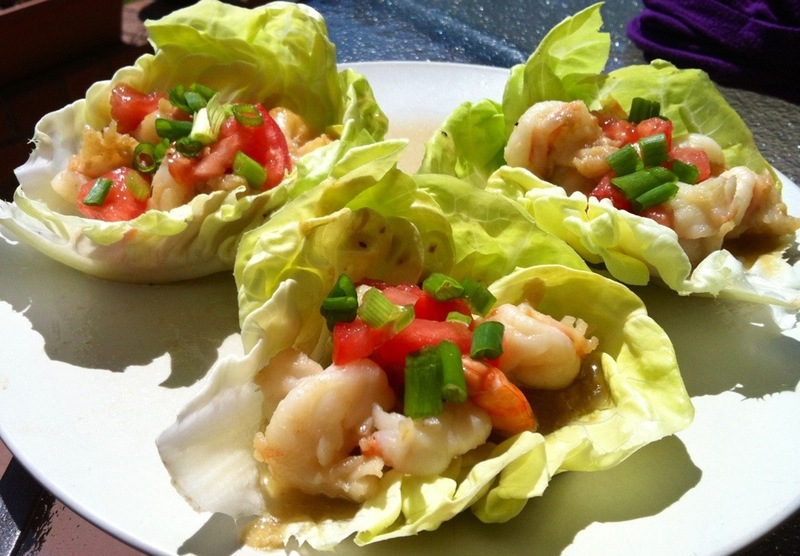 Add Shrimp to Lettuce Cup, top with diced tomato and green onion and serve with your favorite hot sauce. Put the Aluminum Foil in the baking pan. Sit Garlic up with the tops off and spread on the head pieces around them. Pour the olive oil on top of the garlic and bake in the oven for 45-60 minutes or until they pop out of the garlic easily. 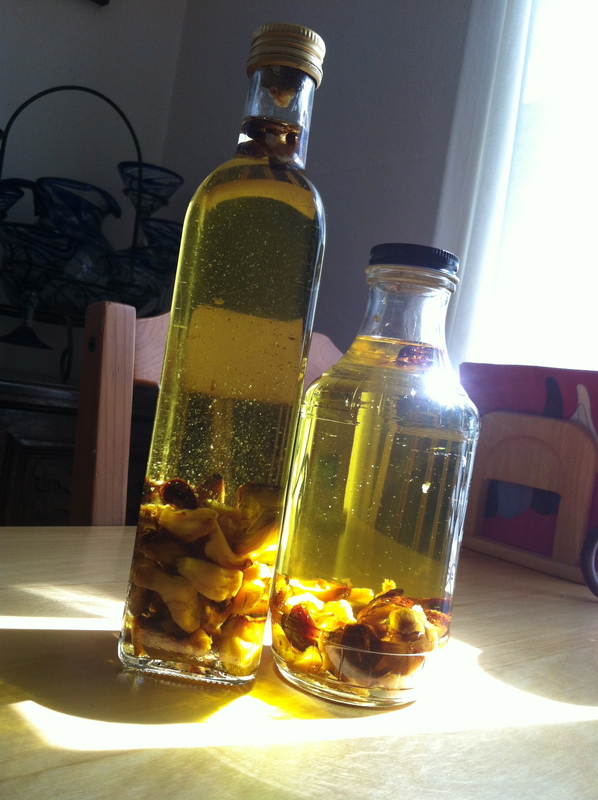 Let cool and remove the garlic from the skin and put in a jar of olive oil. 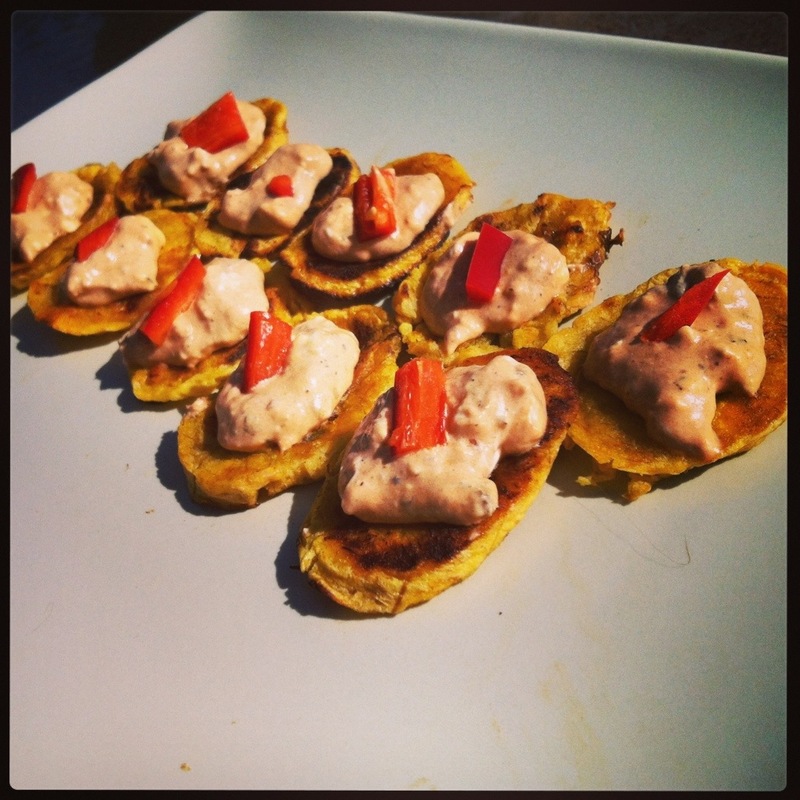 I love plantains and wanted an easy healthy appetizer, so I came up with this. 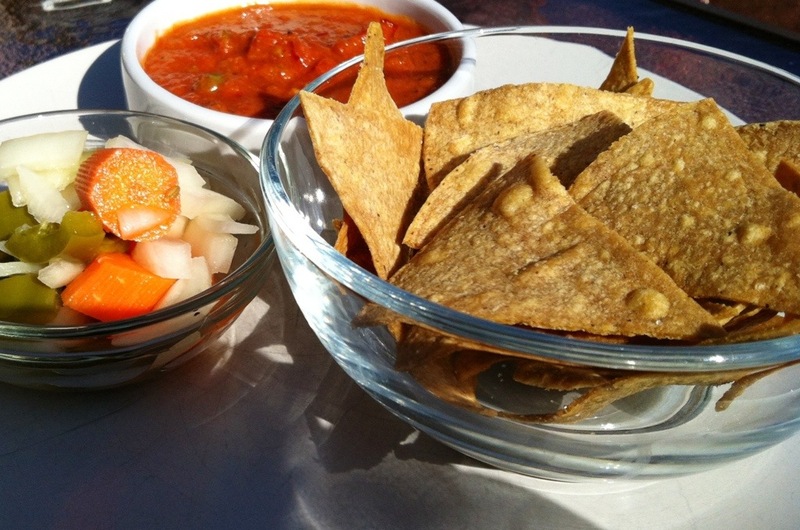 I used my homemade Chipotle Sauce, which can be substituted for any hot or chile pepper sauce. I used 1 large plantain, sliced them into thin round “chips”. I sprayed a flat grill pan with spray oil and cooked them on Medium heat until they were mostly cooked. 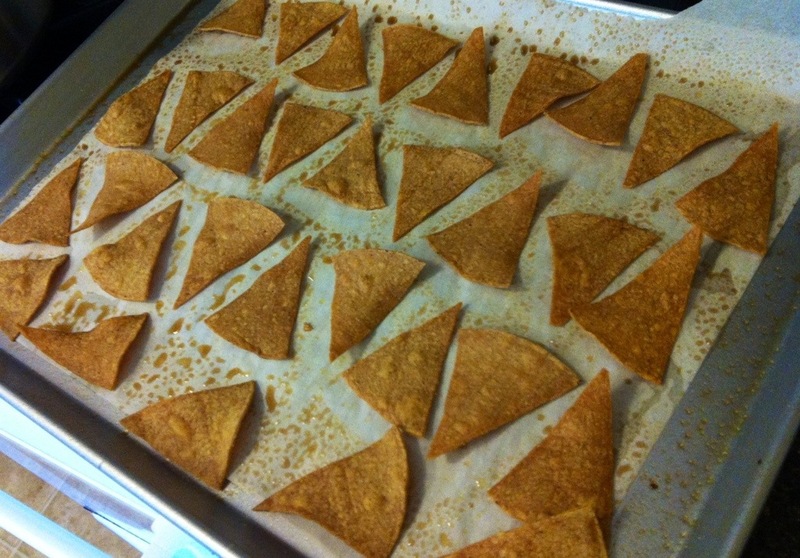 Then I popped them into a pan and put in the oven at 350 for 10 minutes while I made the dip. Use 1/4 of a package cream cheese with 2-3 tablespoons of Chipotle Sauce/Chili Sauce or Hot Sauce. Mix in Salt and Cracked pepper. Wait until your plantains are semi-cooled before topping them with the Cream Cheese or they will melt. 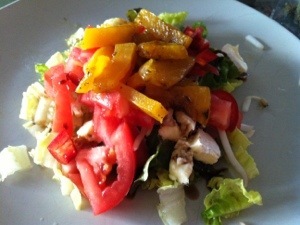 Top with garnish, like bell pepper or cilantro sprig.